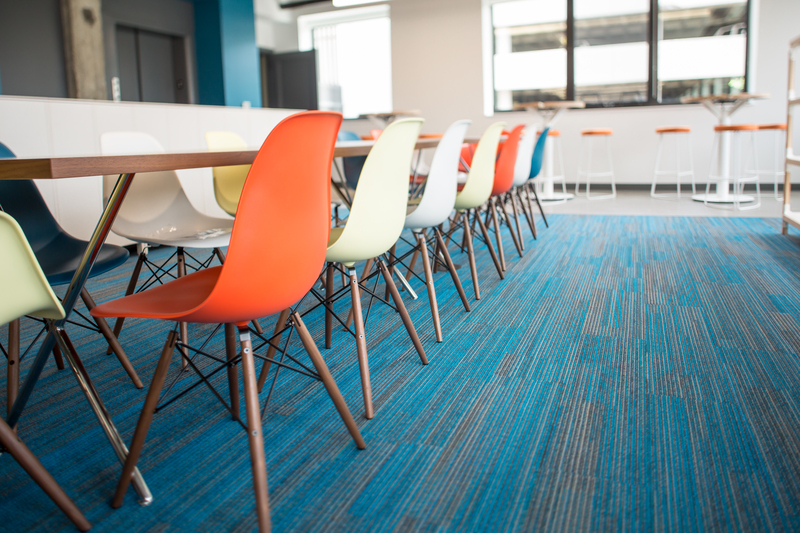 Let’s face it, the floors in our workspaces experience tremendous wear and tear at points of entry. Add unpredictable weather to the mix, and your investment loses value. 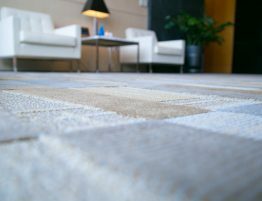 But you can maximize your flooring investment by protecting it from bad weather, whether it’s the salt and snow from a blustery winter or the moisture from a rainy spring. To start, try to keep as much salt, plant matter, and dirt outside, as much as possible. If you don’t already have a maintenance plan in place, devise a way to keep the entryway to your space as clean as possible. Regular sweeping and clearing of debris in the area will reduce the amount tracked in. A minimum of annually scheduled exterior entry point power washing is also a great idea. Make sure you have designated walk-off spaces. You can use mats or even carpet tiles to accomplish this. Incorporate these spaces into the design of your entrances, using a material that can withstand water and debris. A minimum of 8-10 feet is ideal for these “capture” areas. This is one of the most affordable ways of protecting your floors, whether you have carpeted or hard surfaces. If you don’t currently have walk-off spaces in high-traffic areas, this is where professionals can help. 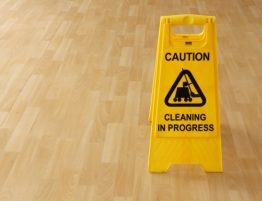 And finally, it’s imperative that you have a regular flooring maintenance program. By having one, you can keep your flooring looking great by maximizing its lifetime value. Routine cleaning and sweeping of your floors, whatever type they might be, is one of the easiest ways to keep them in top shape. You should increase your entry point cleaning frequencies as well. Frequent vacuuming, scheduled extractions, and mopping and scrubbing of hard surfaces should be a priority, especially during inclement weather. 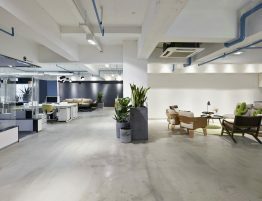 Simple changes like these can help protect your floors from the outside elements, and improve the look and function of your workspace. Don’t wait, old man winter is on his way. 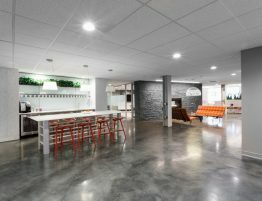 Why Choose an Expert to Install Commercial Floors in Your New Business Building?